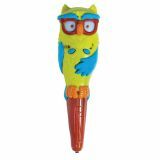 Hoot Hoot Hoo-ray! Meet Ollie—the Talking, Teaching Owl™, the funny feathery version of best-selling Ace—the Talking, Teaching Dog® and Kat— the Talking, Teaching Kitty™. 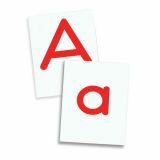 Ollie works with all Hot Dots and Hot Dots Jr. card sets, providing instantaneous, motivating phrases for correct answers and gentle redirection for incorrect responses. 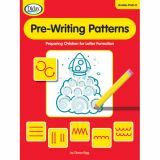 Build a solid foundation of forming letters with Pre-Handwriting Practice for pre-kindergarten through grade 1. After students have learned a particular stroke, they learn the letters that use that stroke. 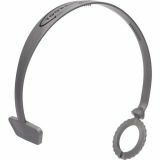 The book includes tactile, auditory, and visual activities to reinforce directionality and proper pencil control. The book supports NCTE and NAEYC standards. 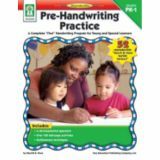 Key Education's handwriting practice books provide young learners with a developmental approach to handwriting. 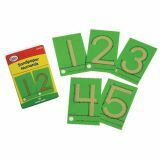 Each workbook helps build a solid foundation of forming letters by reviewing basic handwriting strokes, or including tactile, auditory, and visual activities to reinforce directionality and proper pencil control. Workbooks include guidelines for use, examples and practice and review pages. Content and page count varies per workbook. Proven effective for building basic skills and reinforcing learning programs. Cards are self-checking, colorful, attractive, durable, and feature rounded corners for quick sorting. Build reading and spelling skills with photographs, words, sentences, and sound-it-out cues. 72 cards. The Little Red Tool Box is a powerful literacy manipulative program based on research about how children learn to read. The quiet,easy-grip magnetic foam manipulatives are chunky-sized for young learners and create less noise. 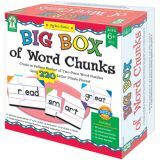 Each set comes with an assortment of letter or word tiles that target a specific skill, as well as a teaching guide filled with how-tos and instant activities. 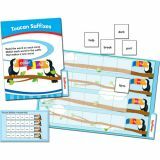 228 easy-grip, durable magnetic foam word tiles includes 212 color-coded word tiles, 16 punctuation tiles, 24-page teaching guide. Ages 5-8. 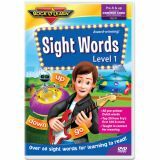 Children learn over 60 sight words through engaging characters, fun songs, and lots of practice. Words are presented in context to help build reading comprehension. Includes all pre-primer Dolch words, the top 20 from Fry's, and more. Approximately 50 minutes. These beautiful, precision-made, plastic letter tiles measure 1" by 1 1⁄4". Lowercase on one side, uppercase on the other. Vowels are red, consonants are black. Set includes 68 tiles in all. 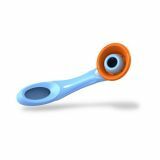 Headset for use with TOOBALOO®, headset makes the TOOBALOO® hands free. Does not include TOOBALOO®.